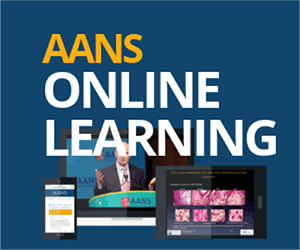 The theme of the 2019 AANS Annual Scientific Meeting is The Science of Practice, a term coined to emphasize how the medical profession can advance knowledge through thoughtful analyses of clinical observations and experiences. By harnessing data and information from real-world human struggles with injury, illness and disease, the science of practice can help practitioners and patients make the best possible decisions about healthcare, especially in areas where robust scientific data are lacking. Furthermore, the meticulous observation of what we do every day, in every hospital, office, and clinic, and on every roadside, sideline or sickbed around the world, can help our research hypotheses for other forms of scientific pursuit be stronger and better-informed. Given today’s technological and computing capabilities, our field is more poised than ever to learn important lessons from our extensive clinical experiences. While randomized prospective clinical trials serve to answer important questions of treatment comparisons, they do not lend themselves well to surgical questions for a variety of reasons, not the least of which is that surgical skill varies across surgeons and for individual surgeons over time. Comparing surgical to non-surgical treatments is further fraught with complications ranging from selection bias to cross-over to intention-to-treat analyses. As a result, the use of prospective registries has become more and more ubiquitous in medicine and surgery, because data collection can be ongoing over time and analyzed for multiple clinical questions at any point. However, the proprietary nature of electronic medical records systems has hindered registry development, in part due to lack of interoperability with each other and with external databases. Utilization of EHRs has also proven to result in bloated, duplicative, unsearchable, and difficult to navigate records with extraneous and often contradictory information enclosed, and they lack discrete data fields, making them challenging for meaningful data extraction. Finally, EHR documentation is frequently aimed at optimizing billing practices and other administrative needs, and they have been constructed with that purpose in mind, not particularly for clinical care or archiving of precise and accurate data, except for laboratory values. Even laboratory results, however, are difficult to extract, track, and trend. Continuous physiological data, arguably some of the most important in the diseases and injuries we treat, are seldom archived at all. Imaging storage has dramatically improved with picture archiving and communication systems (PACS) and standardized DICOM formatting making sharing better, but not perfect, and older images may be placed on inaccessible servers or discarded in the name of optimizing storage. Storage, while becoming increasingly less expensive, is not a trivial issue as relates to large inter-relational databases and EHRs, however, as massive amounts of data can swamp systems and result in slow processing and crashes. While the use of “big data” and various artificial intelligence (AI) techniques have become an increasing focus in medicine, thoughtful deployment of AI is required. The ultimate “registry” may eventually consist of a true distributed network with well-defined, discrete, mandatory common clinical data elements, minimization of the use of human interpretations, and robust interoperability, i.e., a nexus of auto-populated electronic medical records, physiological data, and PACS imaging that has been thoughtfully designed and populated longitudinally. Artificial intelligence tools should be developed with clinician expertise to formulate practical and meaningful “augmented intelligence” tools that can build algorithms based upon more accurate “sources of truth.” Issues such as methods for data extraction and analysis, data ownership and protection, feedback to the system for clinical decision-making, and other higher level functions will require significant ethical, regulatory, and economic consideration. However, one can envision a world in which data is “cleaner,” easier to share, and easier to use to answer key clinical questions, and in which practical AI tools help us make complex decisions. 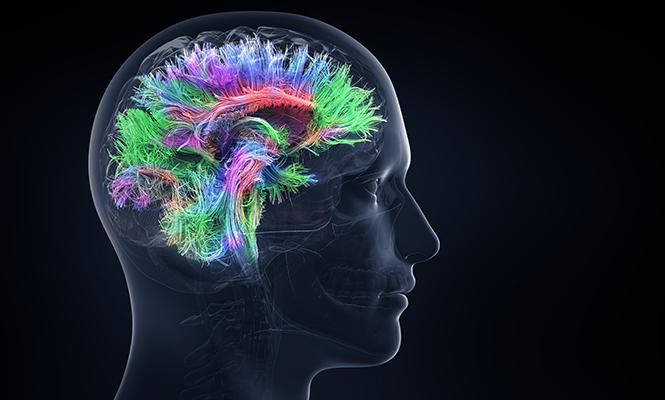 Now is the time in the history of our profession when we must magnify thoughtful and meaningful collaborations with our computer science colleagues to transform the field of neurosurgery and of medicine more broadly. Our annual meeting will bring together a number of experts who will touch on individual aspects of The Science of Practice, including the psychology of observation, registry science, clinical research, artificial intelligence, the brain-machine interface, medical and surgical education, and the provision of care to all.